A lease is a legal contract that requires you, the tenant, to pay the owner, or landlord, for the use of property over a certain period of time. There are several sections to a lease that outline all of the rules that both you and the landlord must adhere to during your stay. A lease should be read in detail to avoid potential headaches down the road. For example, you may have a friend that needs a place to stay for a while until their apartment is ready, but most leases prohibit this and have charges that will be applied for these types of violations. Before signing your lease, you’ll want to make sure you are in close proximity to school, work, or wherever day-to-day life takes you. Take a tour of the community or actually drive your daily commute before signing your lease to familiarize yourself real-time. Lucky for Clemson students, EPOCH student living is just a 5-minute drive from campus, and is right on Lake Hartwell, giving you a perfect living and learning balance. We also provide a convenient private shuttle service to save you from the hassle of finding parking on campus. Perhaps the most important part of locking in a lease agreement is to be aware of what is included in your monthly rent and what is not. At EPOCH, you will be signing an individual lease, meaning you are just responsible for your personal bedroom/bathroom and share of common space. We include fully furnished rooms, an electric allowance, water, sewer, trash, high-speed Internet and cable—including the ACC channel—into your rent each month. When you are shopping around, be sure you know what expenses are separate. For many students, amenities are a huge perk of deciding where to live. Some want to spend the summer lakeside or have access to a 24-hour gym. For some students, access to study rooms and printers around the clock is very important. Also consider perks of the apartment or living space, such as walk-in closets and personal bathrooms – both available at EPOCH. Make a list of your must-have amenities and then decide which ones you can live without. Before signing, make sure to read through the entire lease! And then read it again. It might not be as interesting as scrolling through your Instagram feed or watching your favorite show on Netflix, but it's very important as a tenant you are aware of the fine print. To get a good feel for the property, ask past or current tenants their honest opinion of where they live. If you are hesitant or have reservations about signing the lease, get those worked out before you commit--you’ll be better off in the long run. 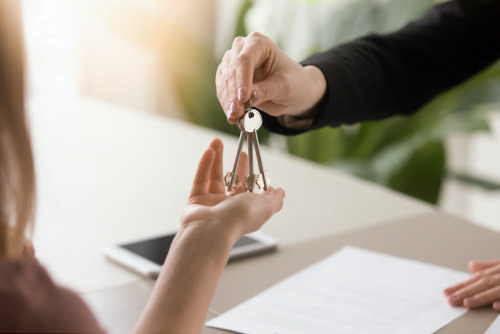 The best rule of thumb is to maintain an open dialogue with your potential landlord or property management throughout the lease agreement process. Don’t be afraid to ask a lot of questions before making any legal agreement. At EPOCH Clemson student living, we are here to answer any and all questions you might have! For more information, contact us here.